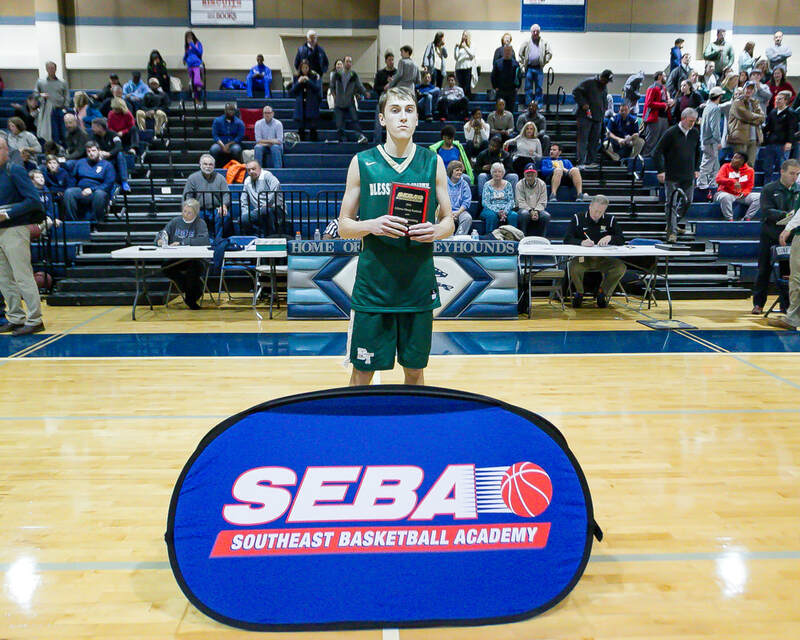 Event Overview: The 10th Annual SEBA Atlanta Hoop Festival will feature ten (10) Top High School Boys teams matching up in five highly competitive games throughout the day. We are looking forward to a tremendous display of high school basketball featuring some of Georgia's top programs, coaches, and players. ​Games will be broadcast live on the NFHS Network. Click here for info. Team Overview: The outlook for Dacula is very bright, as Dr. Russel Triaga’s squad is a legit State Title contender in Georgia’s Class AAAAAA. The Falcons, Pre-Season Ranked #2 in the State, boost an experienced, talented, and deep roster. Senior standout Arusha Hunter (6’ 3, SG, 2018) averaged 18 ppg and was named All-State a year ago. The multi-dimensional scorer has signed a letter of intent to play next year at Clayton State. 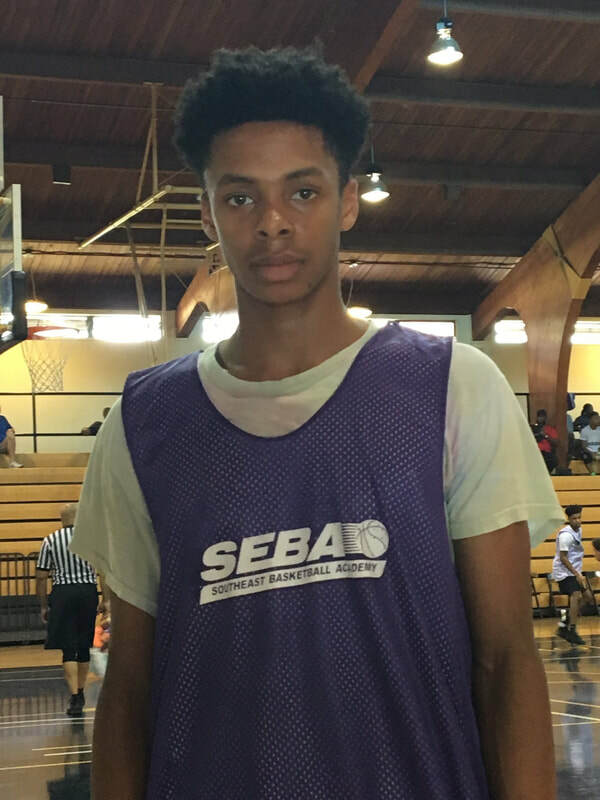 Brenden Tucker (6’ 3, CG, 2019) is a high scoring and athletic combo guard who is considered one of the top 2019 prospects in Georgia. He has played very well early on this season and holds several high major Division I scholarship offers. 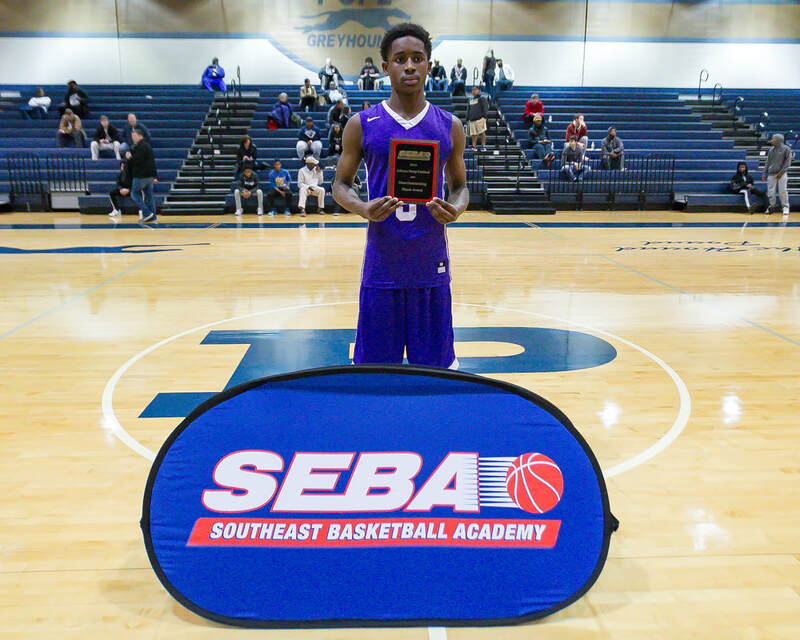 Mekail Bethea (6’ 1, PG, 2019) is an impressive floor general who averaged 16 ppg, was named All-Region, and has caught the eye of numerous colleges with his play. Quincy Ademokoya (6’ 7, Forward, 2020) is a high potential prospect who moved in from Illinois. 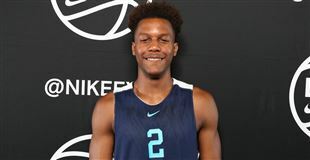 The skilled wing, who holds an offer from Depaul, has a very nice outside shot and is an impact player on the defensive end. 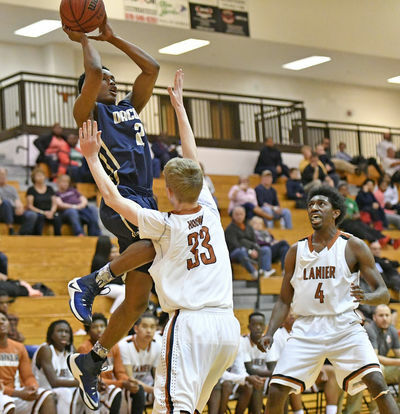 6’ 5 Shayne Buckingham, a standout quarterback on the Dacula football team, will also bring added athleticism and leadership to the Falcon frontcourt. Team Overview: Under Coach Pat Abney’s leadership, Pope has been one of the most successful programs in the basketball hotbed of Cobb County. Last year, the Greyhounds had a banner season while winning 25 games and the Region Championship. Pope returns a significant amount of firepower and should again be a strong contender again in a tough Region 7-AAAAAA. Leading the way will be senior standout Jackson Baylark (6’ 4, Wing, 2018). Baylark is an extremely athletic wing forward with a big motor. The four year varsity player was named All-Region last year and is a prospect Colleges will want to take a close look at. Fellow Senior John Luttrell (6’ 1, SG, 2018) will bring provide leadership, court smarts, and an excellent three point stroke from the guard spot. Micah Paulk (5’ 11, CG, 2019) is a strong bodied and skilled guard with experience. Ryan Billing (6’ 1, Wing, 2019) is an athletic and versatile inside-out threat who stuffs the stat sheet. Junior Guard Khi Wilson (5’ 11, PG, 2019), who transferred in from Temple High, is also expected to have a major impact for the Greyhounds with his court vision and playmaking abilities. Team Overview: Perhaps no team in Georgia has higher expectations this season than McEachern, The Indians are pre-season ranked in numerous National Top 25 Polls and are considered by many to be Georgia’s top team regardless of classification. 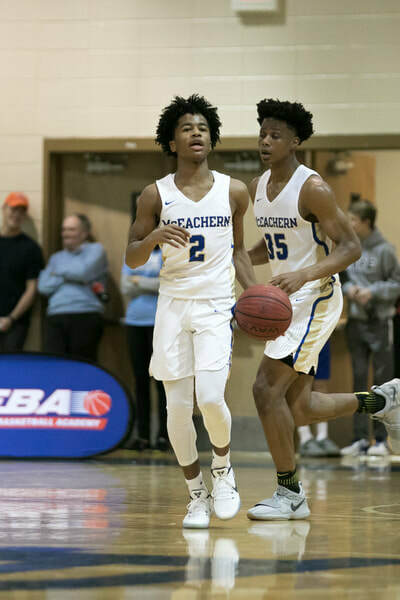 McEachern is coming off a tremendous 2016-17 season in which they won 29 straight games before falling to Tift County in the Class 7A State Championship game. Coach Mike Thompson returns an extremely talented core with their eyes focused on a State Title. All-American candidate Isaac Okoro (6’ 5, SG, 2019) is one of the nation’s elite prospects in the Class of 2019. He averaged 23 ppg last year as a sophomore and is an athletic and versatile player capable of playing guard or forward. Sophomore Sharife Cooper (5’ 10, PG, 2020) is a jet quick floor general who plays with great poise and is heralded as one of the South’s top point guard prospects in his class. The Indians boost terrific size and athleticism in the frontcourt. Babatunde Akingbola (6’ 9, Forward, 2019) and Jared Jones (6’ 8, Forward, 2019) are both long and athletic rim protectors who are highly sought after as Division I prospects. Senior Brandon Suggs (6’ 6, Forward, 2018) brings versatility and scoring punch as an inside-out threat and also holds several D1 offers. Team Overview: Duluth is led by one of the State’s top coaches in Cabral Huff. After a successful stint as a College assistant at the Division I level, Coach Huff returned back to the high school ranks last season and quickly cemented Duluth as a team to be reckoned with. The Wildcats are expected to be a major force and State Championship contender in Georgia’s largest classification this year. Leading the way will be a talented and experienced backcourt. Adam Flagler (6’ 3, CG, 2018) is a returning All-State Guard with a deadly outside shooting stroke. 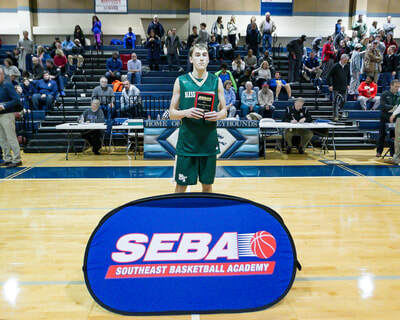 He is a two-time SEBA Hoop Festival MVP and scored an event record 43 points in last year’s event. William Huzzie (6’ 5, Wing, 2018) is an athletic inside-out player who was named All-Region a year ago. Lamont Smith (6’ 2, PG, 2018) is an explosive floor general who holds several Division I scholarship offers. Christian Kelly (6’ 4, Wing, 2018) is a lengthy wing guard who can score in bunches and will bring firepower from the perimeter. Team Overview: Hoover is an established powerhouse program in Alabama high school hoops. 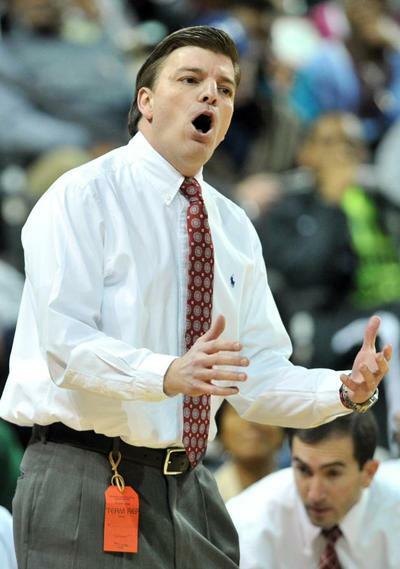 Over the past four seasons, Coach Charles Burkett’s squad has advanced to three Final Fours and won a 2015 State Title in Alabama’s largest classification. This year’s squad is once again expected to be a State Title contender as the Buccaneer’s boost a talented and battle tested roster. 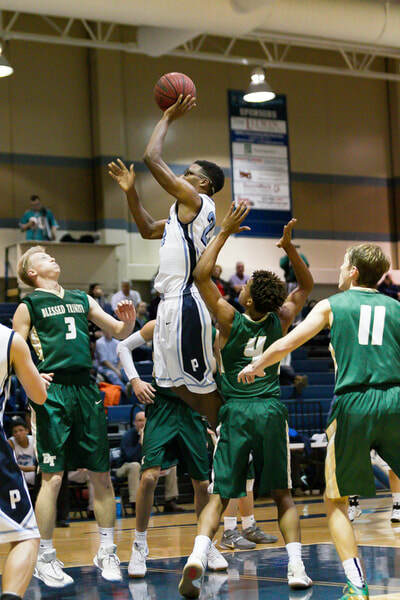 Forward Trey Jemison (6’ 11, Forward, 2018) is a strong candidate for Alabama’s “Mr. Basketball” and will be playing his college ball in the ACC next year, as he has signed with Clemson. The All-State big man has a 7’ 2 wingspan is a premier defender, rebounder, and shot blocker. Complimenting Jemison’s inside presence will be a talented trio of guards for Hoover. Jamari Blackmon (6’ 1, CG, 2018) is a big time scorer and competitor who averaged 20 ppg last season and is one of the state’s top available guard prospects. Marion Humphrey (6’ 2, Guard, 2017) is an athletic and versatile player on both ends of the floor and contributes heavily across the stat sheet. Ahman Ellington (5’ 9, PG, 2019) is a heady and high intensity perimeter threat while CJ Melton (6’ 4, Guard, 2019) has showed nice promise in Hoover’s hot start to the 2017-18 season. Team Overview: Kennesaw Mountain should be one of the State’s most improved teams this season with the potential to make some definite noise in Class 7A. The Mustangs secured some key wins down the stretch last season to earn a state playoff bid and they look to carry that momentum into this season. Veteran Coach Jesse Bonner, who has been at Kennesaw Mountain since the school’s opening in 2000, has a talented mix of veterans and newcomers to work with. Joshua Strong (6’1,CG, 2018) is an impressive scoring guard who averaged 18 ppg per game as a Junior. The All-Cobb selection puts up points from all three levels and is one of top available Senior guards in Metro Atlanta. Talented Newcomer Jalyn McCreary (6’ 7, Wing, 2019) is now eligible after having to sit out all of last season due to transfer rules. Considered one of the State’s top 2019 prospects, McCreary is a talented inside-out wing with formidable size and skill set. He has garnered significant recruiting attention at the D1 level. Gabe Armstead (6’ 3, SG, 2018) is a multi-faceted perimeter threat with good athleticism, while Jordan Barnes (5’ 11, G, 2018) and Christian Ramsey (5’ 9, PG, 2019) will bring additional firepower at the guard positions. Jalen Knight (6’ 5, Forward, 2019) will compliment nicely in the paint. Team Overview: Head Coach Greg Phillips has done a great job establishing Berkmar as a premier program in ultra-competitive Gwinnet County. The Patriots have consistently been one of the better teams in Georgia’s largest classification over the past six years and a perennial state playoff participant. Despite graduating a very talented senior class that included three Division I signees, the cupboard is far from bare for Berkmar. 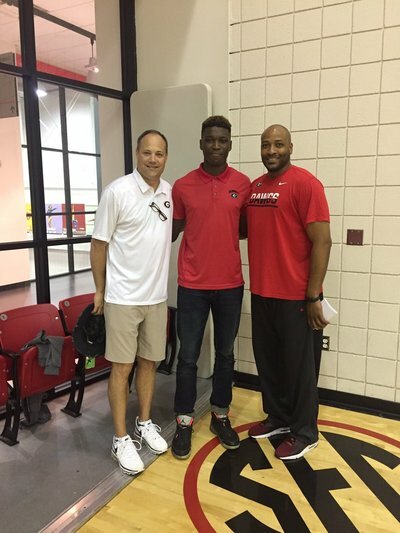 Talented newcomer Tony Johnson (6’ 3, Guard, 2018), a move-in transfer from Alabama, is a highly regarded prospect with extensive Division I interest. He is expected to be an immediate go-to player for the Patriots with All-State potential. Taj Anderson (6’ 3, CG, 2019) is another talented out-of-state player who transferred in and should be an immediate impact player at the guard position. The New York native is the nephew of former Georgia Tech legend and NBA All-Star Kenny Anderson. Senior captain Ben Soumahoro (6’ 3, Forward, 2018) will play a valuable role for Berkmar with his athleticism, rebounding, and presence in the paint. Julius Reynolds (5’ 11, Guard, 2020) and Ryan Rockwell (5’ 11, Guard, 2019) will also be looked upon for significant contribution to the Patriot backcourt. Team Overview: Despite this only being Mt. Bethel’s third year of existence as a varsity high school program, the Eagles have already established themselves a rising force in Georgia High School Hoops. Head Coach Cal Boyd returns all five starters from the squad that won 25 games and the GICAA State Title a year ago. 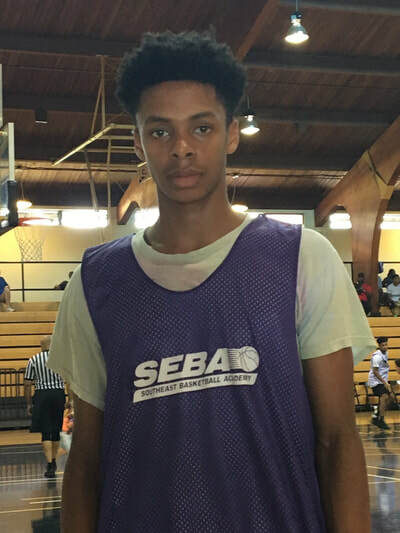 Jordan Meka (6’ 9, Forward, 2020) is regarded as one of the Peach State’s Elite prospects in the Class of 2020. 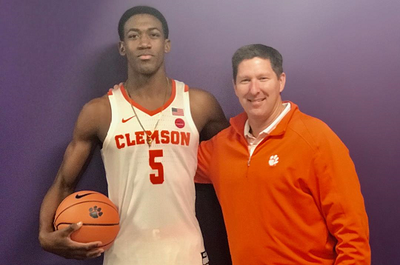 The athletic forward with an 84” wingspan holds multiple high major Division I scholarship offers and is expected to build upon a freshman campaign in which he averaged 16 pts and 7 blocks per game. Three year starter and team captain Jaquez Gilbert (6’ 2, CG, 2018) is a talented combo guard who averaged 17 pts per game last year on his way to All-State honors. Stanley Eze (6’ 5, Wing, 2019) is a highly athletic wing who missed most of last season due to injury. He has attracted significant recruiting interest from Division I offers. Coleman Boyd (6’ 2, PG, 2019) is an excellent playmaker with court vision and outside shooting ability that helps orchestrate the Eagle offense. Team Overview: Over the past decade, very few programs have experienced the consistent success that Hillgrove has. Under the leadership of Coach Ed Morris, the Hawks have made the State Tournament each of the past ten consecutive years; including thee Elite 8 finishes and an appearance in the AAAAAA Final in 2013. As usual, look for this year’s squad to be disciplined, well coached, and strong defensively. Players to keep an eye on include athletic combo guard Dustin Ladson (6’ 2, CG, 2018) and Junior lead guard Orry Owens (5’ 10, PG, 2019). Team Overview: Blessed Trinity has participated in the SEBA Hoop Festival all ten years of the event’s existence. Patrick Hughes is one of the top young coaches in the state and his program plays a fundamentally sound and disciplined brand of basketball. Last season Blessed Trinity was among the top teams in Class 4A and won their school’s first ever Region Title. The Titans will return three starters from that team, including four year letterman Ben Shappard (6’ 3, Wing, 2018). Shappard was an All-Region selection a year ago and averaged 13 ppg and 5 rebounds. CJ Abrams (6’ 1, G, 2019) is an impressive guard who will bring athleticism and scoring ability to the backcourt. A two sport standout (he is a member of the 17U USA Baseball team), Abrams was a 1st Team All-Region selection on the hardwood last year while averaging 12ppg and leading the team in steals.